Here’s what a service includes . . . 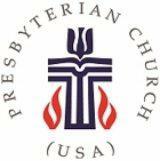 The order of a Sunday worship service in a Presbyterian church is determined by the pastor and the session, the church’s governing body. It generally includes prayer, music, Bible reading and a sermon based upon scripture. The Sacraments, a time of personal response/offering and a sharing of community concerns are also parts of worship. “Prayer is at the heart of worship. In prayer, through the Holy Spirit, people seek after and are found by the one true God who has been revealed in Jesus Christ. They listen and wait upon God, call God by name, remember God’s gracious acts and offer themselves to God. “Prayer may be spoken, sung, offered in silence or enacted. Prayer grows out of the center of a person’s life in response to the Spirit. “Song is a response which engages the whole self in prayer. Song unites the faithful in common prayer wherever they gather for worship whether in church, home, or other special place ... through the ages and from varied cultures, the church has developed additional musical forms for congregational prayer. “Congregations are encouraged to use these diverse musical forms for prayer as well as those which arise out of the musical life of their own cultures. “To lead the congregation in the singing of prayer is a primary role of the choir and other musicians. They also may pray on behalf of the congregation with introits, responses, and other musical forms. Instrumental music may be a form of prayer since words are not essential to prayer. “The church confesses the Scriptures to be the Word of God written, witnessing to God’s self-revelation. Where that Word is read and proclaimed, Jesus Christ the Living Word is present by the inward witness of the Holy Spirit. “For this reason, the reading, hearing, preaching and confessing of the Word are central to Christian worship. “The minister of Word and Sacrament is responsible for the selection of Scripture to be read in all services of public worship and should exercise care so that over a period of time the people will hear the full message of Scripture. “It is appropriate that in the Service for the Lord’s Day there be readings from the Old Testament and the Epistles and Gospels of the New Testament. The full range of the psalms should be also used in worship. “Selections for reading in public worship should be guided by the seasons of the church year, pastoral concerns for a local congregation, events and conditions in the world, and specific program emphases of the church. “The Word is also proclaimed through song in anthems and solos based on scriptural texts, in cantatas and oratorios which tell the biblical story, in psalms and canticles, and in hymns, spirituals, and spiritual songs which present the truth of the biblical faith. “The Christian life is an offering of one’s self to God. In worship the people are presented with the costly self-offering of Jesus Christ, are claimed and set free by him, and are led to respond by offering to him their lives, their particular gifts and abilities, and their material goods. “Worship is an activity of the common life of the people of God in which the care of the members for each other and for the quality of their life and ministry together expresses the reality of God’s power to create and sustain community in the midst of a sinful world.